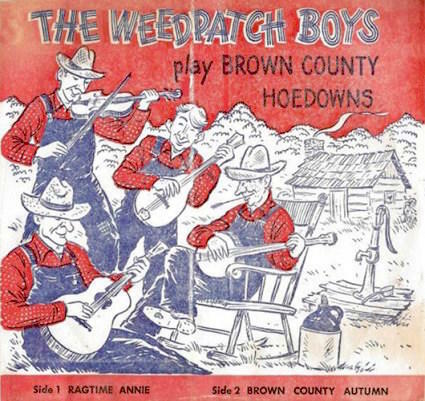 This rare 1963 single by “The Weedpatch Boys,” is part of a the bluegrass audio collection donated to MTSU’s Center for Popular Music. The Center for Popular Music on campus will use a $19,537 grant from the Grammy Foundation to sort and digitize the songs, which have an unusual origin story. The recordings were gathered by Marvin Hedrick, an Indiana musician, electronics repairman and hobby folklorist. Hedrick captured “priceless” recordings from the Bean Blossom Music Festival near his home, but also roamed to backstage jams and even hosted impromptu sessions in his repair shop, according to the center. In all, Hedrick’s surviving sons provided 167 open-reel tapes and other recordings to MTSU. They include Bill Monroe and other pioneers playing from the 1950s through 70s. The collection will join the centers 1 million holdings and become accessible to researchers — as soon as the MTSU staff can identify who’s playing on each. Gonzalez, Tony. "MTSU Gets Trove Of Live Bluegrass Recordings." Nashville Public Radio. July 25, 2016. Accessed July 26, 2016. http://nashvillepublicradio.org/post/mtsu-gets-trove-live-bluegrass-recordings#stream/0.